Vince Staples surprise releases new album FM! 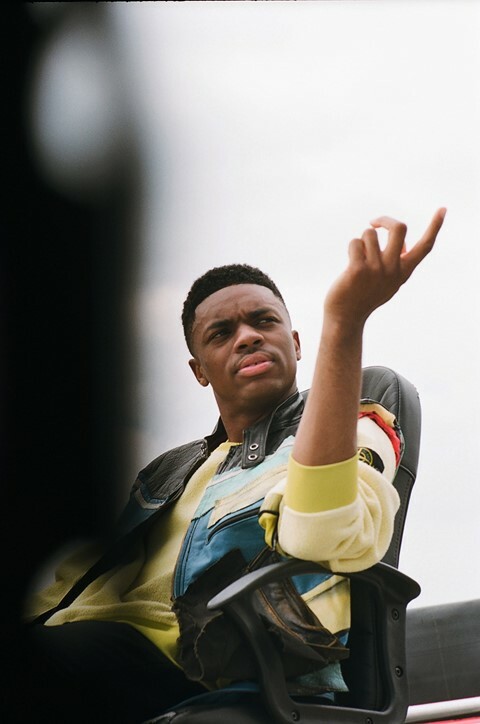 Vince Staples has dropped a new album, FM! The release was announced last night on social media, and is the follow-up to the rapper’s 2017 album Big Fish Theory. FM! features a host of guest features from the West Coast. Earl Sweatshirt, Kamaiyah, Kehlani, E-40, Jay Rock, Tyga, Ty Dolla $ign, Buddy, and Vonnie all feature, while production comes from Kenny Beats and Hangler. LA radio host Big Boy also features on he record, while Japanese designer Verdy designed the artwork. Alongside the album release, Staples is also launching a new radio show, Ramona Radio, on Beats1 today, where he will discuss the album. There is also new merch available. As well as the new album, Staples also released a music video for “FUN!”. Watch that and listen to the full album below. Revisit our 2017 interview with Vince Staples.